As a professional realtor, I'm frequently asked for a mover recommendation. Over the past several years, I have recommended Premiere Van Lines. They have consistently been professional and courteous to my clients, as well as the clients of other realtors at my brokerage. And if a client needs additional help or something rectified, I have found Premiere Van Lines will take responsibility and ensure the client is satisfied. Thank you so much for your kind words! Working together to ensure a satisfactory experience for our clients is so important and I look forward to continuing this partnership for years to come! The service we received was courteous, friendly and hassle free! Thank you for using Premiere for your move, you were a great person to work with! Looking forward to working with you again on the next portion of your relocation! Crews loaded and unloaded our boxes and furniture. We’ve used them 3x already. And highly recommend using a mover. Worth every penny! Your repeat business over the years is so important to our company and we thank you for using Premiere Van Lines time and time again! They went over and beyond. Our truck had broke down and they automatically offered to put us up in a hotel for the night and let us pick the hotel of our choice. The movers were fantastic nothing was damaged. Thank you for taking the time to complete a HomeStars review for us, your post is very much appreciated! It was great working with you and I am happy you were satisfied with the solution regarding the truck troubles. This is the 3rd time we have used Premiere Moving to move our possessions since 2010. On every occasion, from initial meeting, getting a quote, exchanging emails, and the move itself, Premiere has been professional, courteous, and treated us as valued customers. On the day of the move(s), the crews showed up on time and worked quickly and efficiently to move our personal possessions. From my observation, they took really good care of our possessions, carefully wrapping all the furniture in protective cloths before carrying them out to the door. For our 3rd move, we went with the full pack option. The person they sent to do this, worked quickly through our home, so we had to do nothing. Again, from my observation, she took great care in making sure our possessions were appropriately protected. Finally, I would like to say that there is always a chance in a move that some things can go wrong. This was also true with our most recent move. The most important aspect of this review, is that when there was a problem, Premiere took ownership of the problem, and resolved it in our favour. This let me know that customer service and customer satisfaction are important to Premiere. Based on this, I would not hesitate to use them again. Thank you for your review and especially your understanding that it's not a perfect world and sometimes things can go wrong! It's all about how you handle the situation. Your repeat business is very much appreciated, you have been a great person to work with! The team from Premiere were very professional and thorough in moving our 4 bedroom house from the Barrie area into storage and then later to Aurora. Our coordinator and contact, Michelle, was very easy to work with, accessible, and accommodating to our requests, which is particularly appreciated during what is considered one of life's more stressful events. Thank you! Thanks so much for this great review, coordinating a move is not always the easiest job but you certainly made this such a pleasant experience as well! The Premiere Family wishes you all the best in your new home. Stephanie did the estimate for the move. As the first face I met from Atlas she set the tone of professionalism and honesty that helps you get through something as stressful as a retirement move!! Thank you so much! You were so easy to work with, it's meeting wonderful people like you that makes my job so great! I hired them on 3 occasions - they were professional, courteous, punctual. I would hire them again and recommend them to anyone. Perfect service! quick, efficient movers, very polite and helpful. Everything was done in few, short hours, placed where I ask for, furniture put back together. Premiere Van Lines Toronto (GTA) is your choice for moving within, to or from Toronto West. 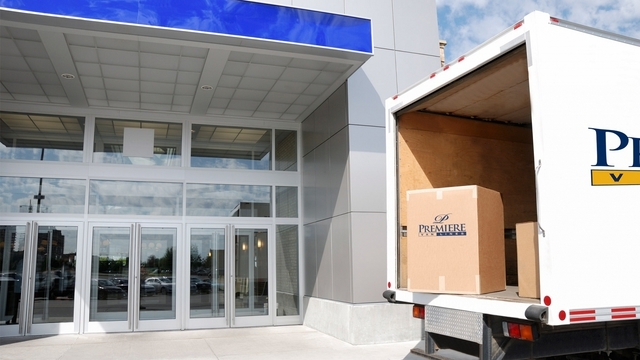 Serving the Greater Toronto Area (GTA) our team of professional and dedicated relocation specialists brings a combined history of over 165 years of expertise to our clients and a passion for customer service. We pride ourselves in being able to provide quality services, climate controlled secure storage facilities, modern reliable equipment, and state-of-the-art technology.